If it is possible for you to apply excitation from standstill (through slip rings, or "rotating transformer"), you should be able to treat is as a synchronous motor all the way. 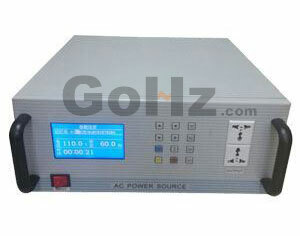 Your main problem would be to adjust excitation and static frequency converter voltage to match. I practice I have seen a separate induction motor used as a starter, with a static frequency converter, with the nominal output voltage of the static frequency converter much larger than the nominal voltage for the motor, and driving the motor well above its nominal speed, like if you were running a 6-pole motor at 150Hz. The motor would become well and truly overloaded during the short start period, but would have plenty of time to cool down between each start attempt. One possibility is that the static frequency converter can start the gas turbine, relying on the generator damper winding in similar manner as the rotor windings of an asynchronous motor, and a completely different possibility could be that the excitation is on from the start, and the generator start as a synchronous motor. The synchronous motor did not start from zero speed. It requires the synchronous speed. But for starting the gas turbine is something different it uses the generator as motor but not as a synchronous motor. It used a principle of a cycle converter ie on and off the signal to the winding in sequence to make the generator rotate.